We can provide Commercial Energy Performance Certificates (EPCs) to Levels 3, 4 and 5 and Display Energy Certificates (DECs) for Public Buildings on all sizes of building and portfolios, with full England, Scotland and Wales coverage. We also provide Domestic EPCs (including new build ‘On Construction’ EPCs) and Domestic Green Deal and can assist with RHI and FIT application EPCs and GDAs. 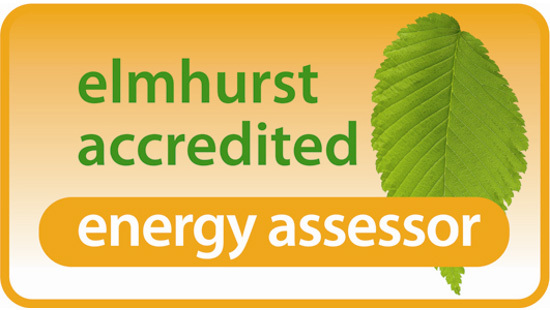 We’re fully insured and accredited through CIBSE and Elmhurst Energy to provide full legislation-compliant reports and certification. From a small lock up shop to the largest portfolio – we can help. We carry out the Energy Calculations required for Part L of the Building Regulations Certification (SAP and SBEM), including Level 5 Dynamic Simulation and Thermal Modelling using Designbuilder and are experts in developing solutions that work practically and financially for each development. If you employ 250+ people or have a turnover above 50m Euros (and a balance sheet in excess of 43m Euros) You will need to report under ESOS. We are ESOS Lead Assessors and can assist with your ESOS Assessment. If you need more information or would like a quote please call us on 01745 854170 or contact us.